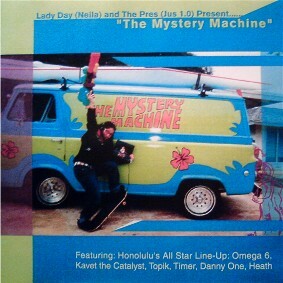 Mystery Machine is a collaboration album with Neila on the raps and Jus 1.0 handling beats. We all know that Neila is extremely talented and one of the nicest people you will ever meet, but there doesn't seem to be too much info out there about Jus 1.0. I was able to find a link to an album of his on the blog Til Infinity, that is no longer being updated, but still has some lots of rare music available. Jus 1.0 appears to be from the Lightsleepers crew, they're credited with 2 releases on discogs and that's it. If anyone has anymore info about them or their music please enlighten me. I should have realized this. Thanks for the link I just ordered a copy.